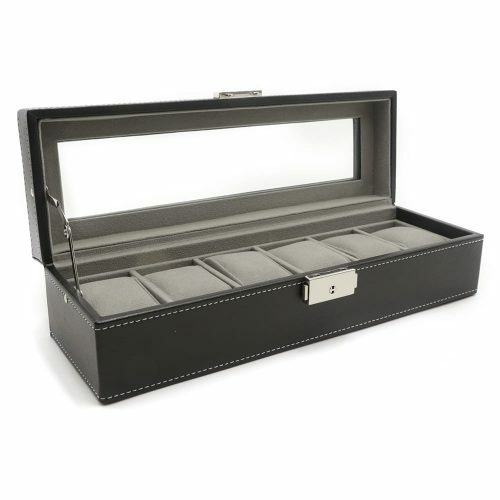 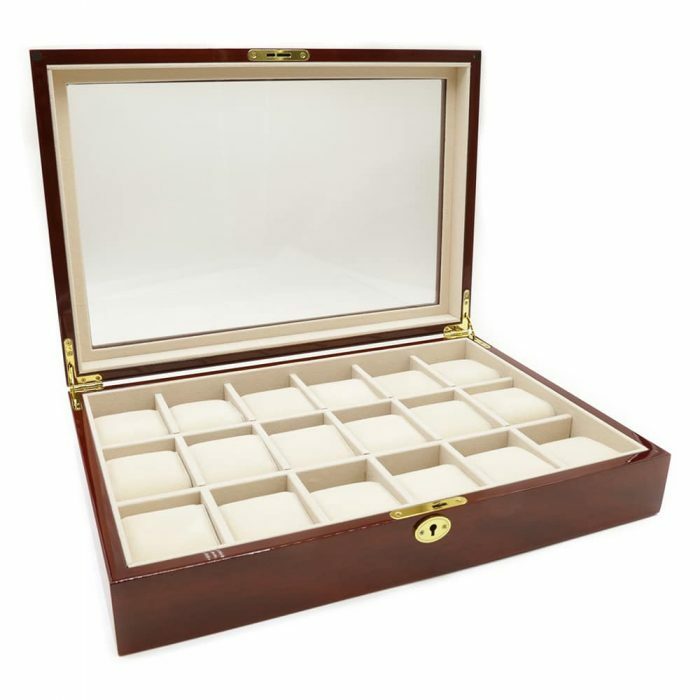 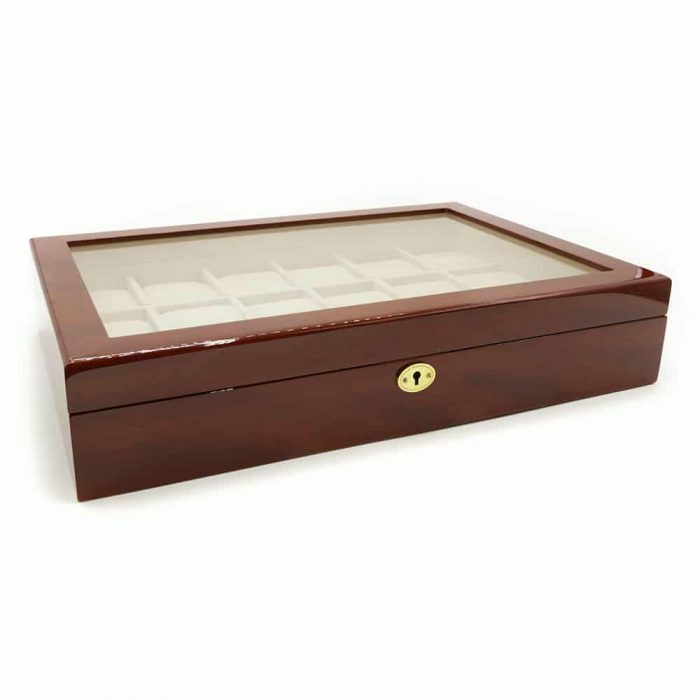 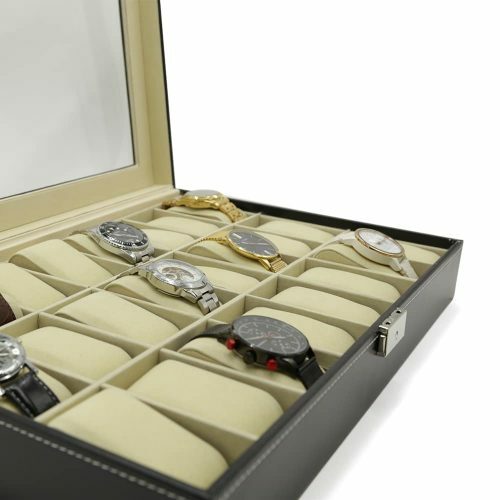 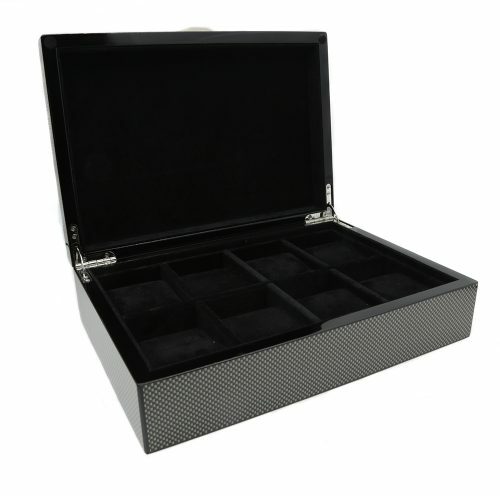 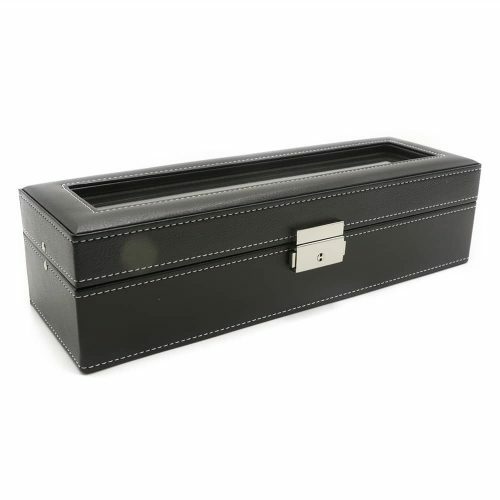 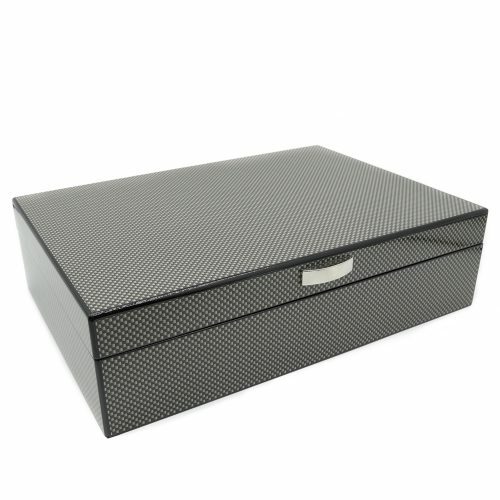 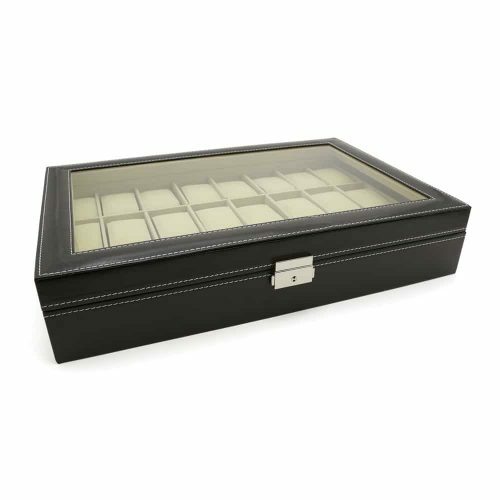 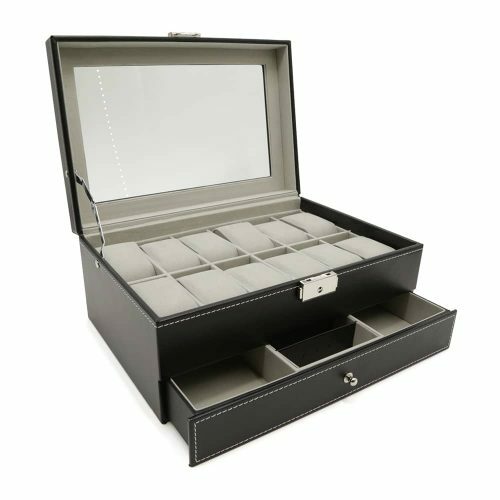 Showcase your extensive collection of fine watches with this Cherry 18 Slot Watch Box. 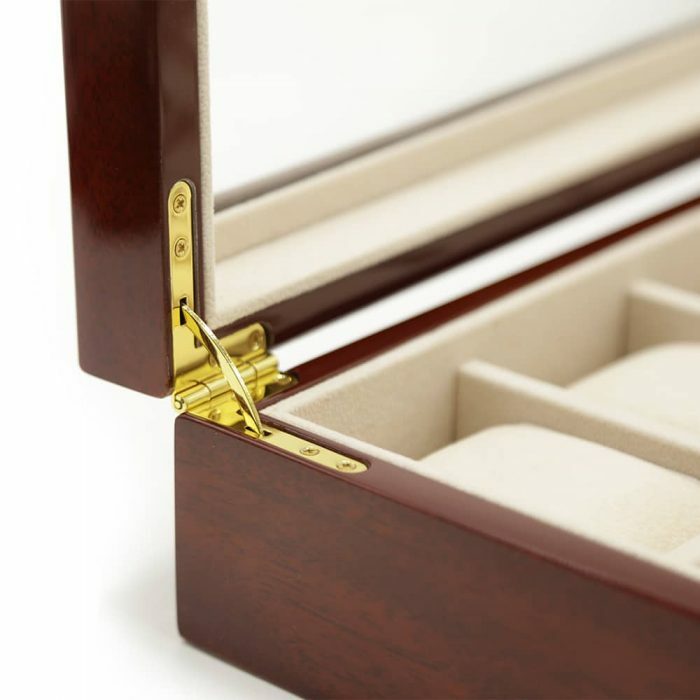 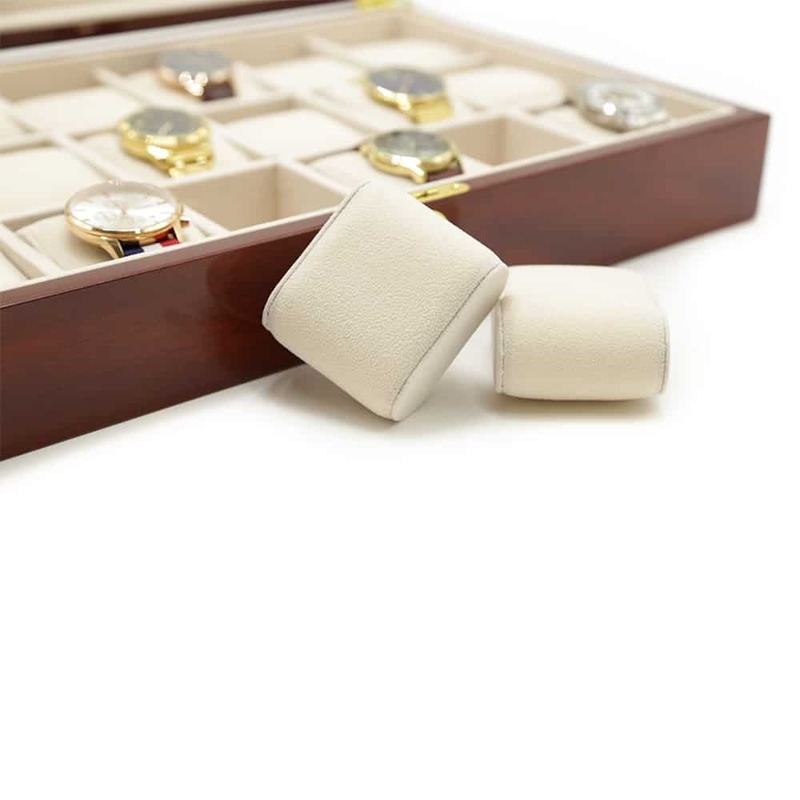 This wooden watch box comes in a deep cherry colour with golden features and a high-quality cream velvet interior. 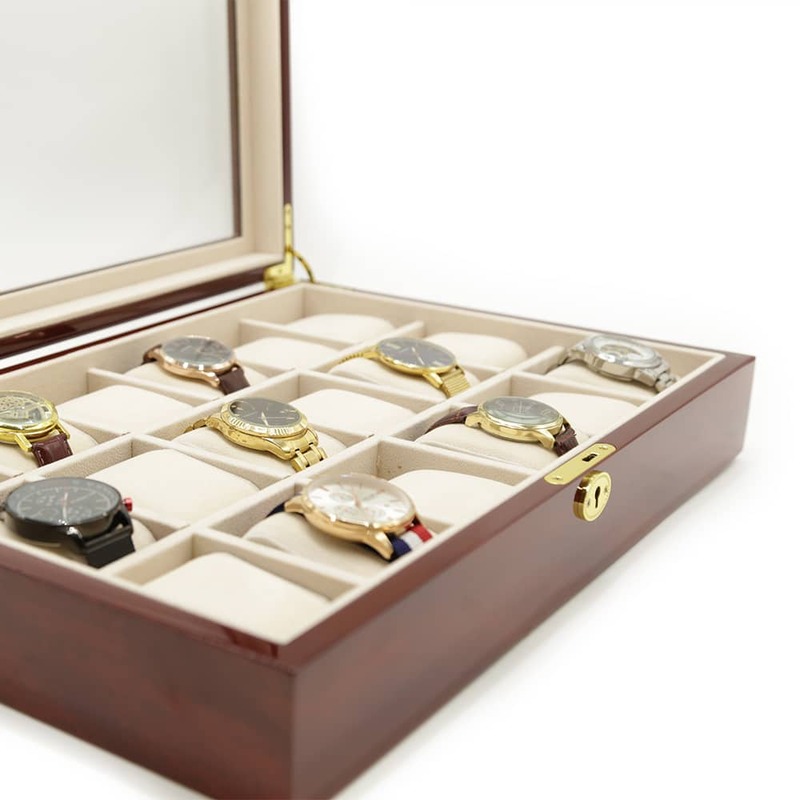 Inside, it comes with 18 large slots allowing for watches with large faces. 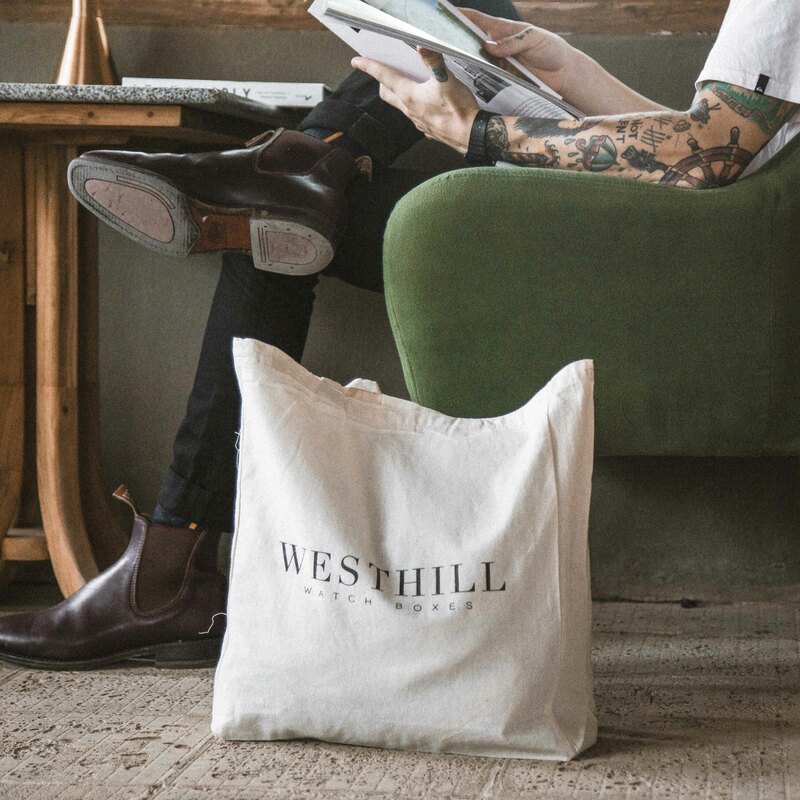 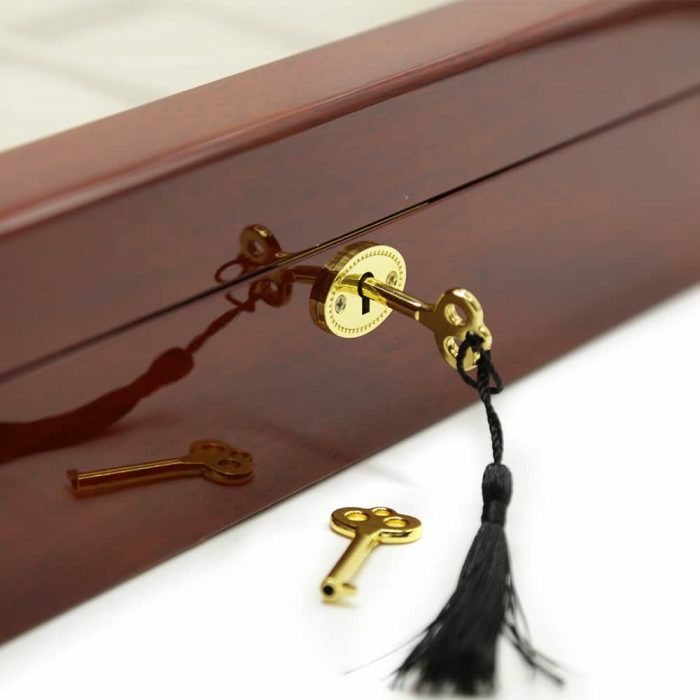 For added security, you can safely lock your collection away with the included lock and key Fob. 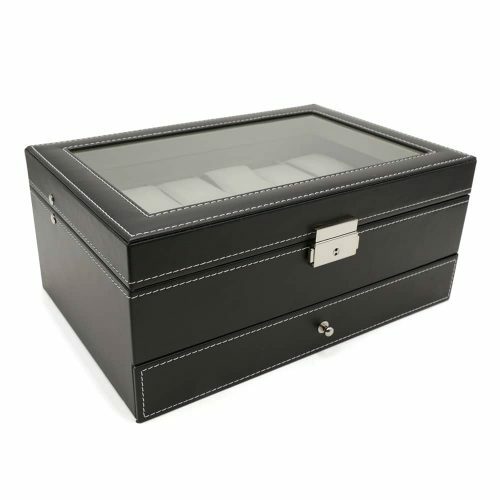 As it has a large transparent panel on the lid, this makes viewing your collection possible making it ideal as a display piece.